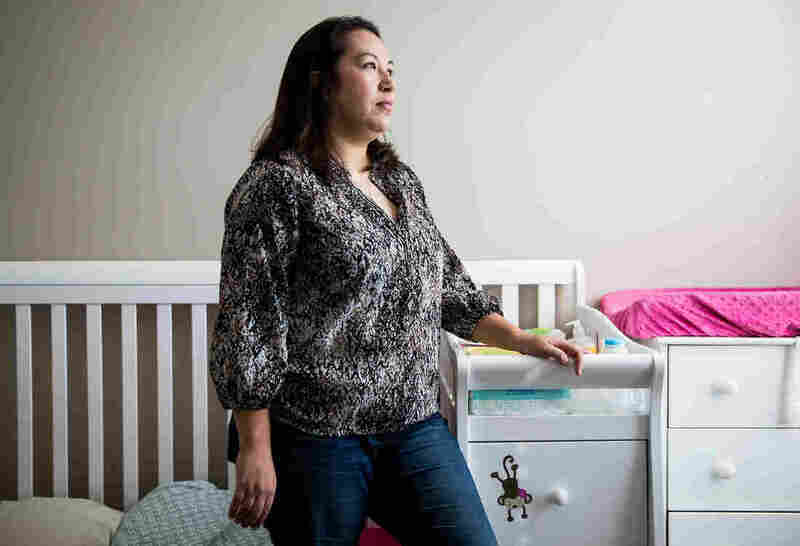 Maternal Morbidity Costs Billions Each Year In United States The rate of life-threatening complications for new mothers in the U.S. has more than doubled in two decades as a result of pre-existing conditions, medical errors and unequal access to care. Leah Bahrencu, 35, of Austin, Texas, developed an infection after an emergency C-section to deliver twins Lukas and Sorana, now 11 months. Leah Bahrencu's kidneys and liver shut down. Samantha Blackwell spent a month in a coma. Cindel Pena suffered heart failure. Heather Lavender lost her uterus. Every year in the U.S., nearly 4 million women give birth, the vast majority without anything going amiss for themselves or their babies. But more than 135 expectant and new mothers a day — or roughly 50,000 a year, according to the Centers for Disease Control and Prevention — endure dangerous and even life-threatening complications that often leave them wounded, weakened, traumatized, financially devastated, unable to bear more children, or searching in vain for answers about what went wrong. For the past year, ProPublica and NPR have been examining why the U.S. has the highest rate of maternal mortality in the industrialized world. That relative high rate of death, though, has overshadowed the far more pervasive problem that experts call "severe maternal morbidity." Each year in the U.S., 700 to 900 women die related to pregnancy and childbirth. But for each of those women who die, up to 70 suffer hemorrhages, organ failure or other significant complications. That amounts to more than 1 percent of all births. The annual cost of these near deaths to women, their families, taxpayers and the health care system runs into billions of dollars. "There's this misconception that these complications are rare," said Kristen Terlizzi, whose uterus, appendix and part of her bladder were removed in 2014 because of a life-threatening placenta condition called placenta accreta. Terlizzi co-founded the National Accreta Foundation, which works to prevent deaths caused by the condition. "We [women] get brushed off — 'The risk is not a big deal,' " she said. "But it is." Better care could have prevented or alleviated many of these complications, experts say. Maternal morbidity encompasses a spectrum of problems, from moderately dangerous to near deadly, and proper medical attention can stop treatable conditions from spiraling out of control. In one 2016 study of all women admitted for delivery over a period of 30 months at Cedars-Sinai Medical Center in Los Angeles, researchers found "opportunity for improvement in care" in 44 percent of life-threatening complications related to pregnancy and childbirth. What's more, according to the CDC, the rate at which women are suffering nearly fatal experiences in childbirth has risen faster than the rate at which they're dying. Based on the rate per 10,000 deliveries, serious complications more than doubled from 1993 to 2014, driven largely by a fivefold rise in blood transfusions. That also includes a nearly 60 percent rise in emergency hysterectomies — removal of the uterus and sometimes other reproductive organs, often to stem massive bleeding or infection. In 2014 alone, more than 4,000 women had emergency hysterectomies, rendering them permanently unable to carry a child. The rate of new mothers requiring breathing tubes increased by 75 percent, as did the rate of those treated for sepsis, a life-threatening inflammatory response to infection that can damage tissues and organs. "These numbers are really high, and far too many of them are preventable," said Dr. Elliott Main, medical director of the California Maternal Quality Care Collaborative and a national leader in efforts to reduce maternal deaths and injuries. These numbers are really high, and far too many of them are preventable. Judged by one of the most life-altering impacts — a hysterectomy — the U.S. is an outlier in the industrialized world. U.S. women are about five times more likely than their British and Swedish counterparts to undergo a hysterectomy, according to Elena Kuklina, a CDC health scientist. They're also three times more likely to need a breathing tube during and immediately after childbirth than women in the United Kingdom. While hospital and government authorities in the U.S. often fail to investigate why a new mother died, complications that aren't fatal receive even less scrutiny. More than 30 states and cities now have committees to review maternal deaths, but only one state — Illinois — has started to systematically examine severe complications. The Joint Commission, the not-for-profit body that accredits health care facilities, requires hospitals to do a thorough analysis of severe morbidity (whether involving new mothers or any other patients) only when the complication is "not primarily related" to the "natural course of the patient's illness or underlying condition." More scrutiny of near deaths could illuminate not only what went wrong, but also what went right. "Maybe everything was done really, really well, and they saved the woman's life," said Stacie Geller, a maternal health expert who directs the Center for Research on Women and Gender at the University of Illinois at Chicago. The U.S. government, which stopped publishing an official annual count of pregnancy-related fatalities a decade ago, has had similar difficulties tallying near deaths. After analysts fixed a computer programming error that had inflated the total, the CDC reduced its estimate of cases of "severe maternal morbidity" this year from 65,000 to more than 50,000. But its current number may be an undercount. Indeed, when one patient safety group, the Alliance for Innovation on Maternal Health (AIM), analyzed 2015 data from hospitals in four states, the rate of morbidity was roughly 2 percent of births, which would translate to 80,000 cases a year nationwide. The CDC's estimate encompasses 21 outcomes, from relatively minor hemorrhages if they require a blood transfusion, to kidney or respiratory failure. But it comes from hospital billing data generated when a new mother is discharged, and it sometimes misses complications — bleeding, blood clots, even heart attacks — that may arise in the hours, days and weeks after she goes home. Hospital readmissions for childbirth-related ailments are difficult for researchers to track. "The nature of our system is to focus on these women while they're pregnant," said Eugene DeClercq, a professor of community health services at Boston University School of Public Health. "And then if there are difficulties later, they get lost to the larger system that doesn't particularly care about women's health to a great degree unless they're pregnant." Eleven days after giving birth to her son in 2014, Samantha Blackwell of Cleveland felt a sudden, sharp pain in her lower abdomen, she said. The 25-year-old graduate student in nonprofit administration went to the emergency room, where she was diagnosed with a massive infection. According to her medical records, doctors performed a procedure known as a D&C to clear any tissue from her uterus that might be causing the infection. Blackwell's condition rapidly deteriorated and she was then flown to a larger hospital, where she spent the next month in a medically induced coma. While in a coma, Blackwell had an emergency hysterectomy. On awakening, she overheard her mother talking with a doctor, which was how she learned that her uterus had been removed. "I'd have a million more kids if I could," she said. "I hadn't known how much I would love being a mother before they put my son on my chest." Blackwell is one of nearly 4,000 women who shared stories of mothers nearly dying in childbirth with ProPublica and NPR through an online form. She is also one of more than 400 women who said they'd had an emergency hysterectomy. Leah Bahrencu is photographed with twins Lukas and Sorana, both 11 months, at their home in Austin, Texas. "You expect what you see in the movies"
Childbirth is the leading reason that people go to hospitals, accounting for nearly 12 percent of all U.S. hospital stays in 2014. Unlike the average patient, expectant mothers are mostly young and relatively healthy, brimming with joyful anticipation. "You expect what you see in the movies," said Leah Bahrencu, who taught Pilates and cardio-kickboxing in Austin, Texas, before she became pregnant with twins at the age of 34. "Like, it's just routine: your water breaks and you go to the doctor, and somewhere between four to maybe 20-something hours later, you have these babies." Bahrencu's pregnancy seemed to be on track until this past January, when she was in her 34th week. At a routine checkup, she was diagnosed with HELLP syndrome, a particularly dangerous variant of pre-eclampsia (pregnancy-induced hypertension), and rushed to the hospital for an emergency cesarean section. She then developed an infection that led to 10 days in a medically assisted coma. Her lungs, kidney and liver shut down, and she suffered permanent damage to her pancreas. "We almost lost her three times," said her OB-GYN, Dr. Catherine Browne, whose voice broke repeatedly as she recalled the case. As with many women who contacted ProPublica and NPR, Bahrencu's problems persisted long after she finally went home. Subsequent infections sent Bahrencu to the hospital three more times, Browne said. Bahrencu stopped working outside the home and has struggled to care for her premature babies. "Emotionally, I'm a wreck," she said. "I'm overwhelmed and have to force myself to get out of the house. If I could, I would stay in my room while the kids are in the other room." Leah Bahrencu, 35, and her husband, Vlad Bahrencu, 37, feed their twins, Lukas and Sorana, at home in Austin. She isn't alone. Even seemingly temporary complications from pregnancy and childbirth may have long-term effects on women's physical and mental health. Pre-eclampsia, for example, is associated with a substantial increase in the risk of heart disease and stroke later in life, while the sheer trauma of a complicated birth can have emotional repercussions. About 1,370 women reported after-effects such as stress and depression, including more than 730 women who told us that their physical suffering led to symptoms of post-traumatic stress disorder, or PTSD, a potentially disabling and sometimes chronic condition more often associated with combat veterans than with new mothers. Such symptoms can typically include flashbacks, nightmares, memory problems and feelings of hopelessness. Up to 6 percent of new mothers suffer from PTSD related to childbirth complications and other factors such as prior trauma, according to Sharon Dekel, an assistant professor of psychology at Harvard Medical School. Six months after giving birth, survivors of emergency hysterectomies are nearly 2.5 times more likely to have PTSD symptoms than women who didn't have the surgery, according to a 2016 study. What's behind the rise in severe morbidity in the U.S.? The reasons include striking declines in the health of women giving birth and inequities in access to insurance and maternity care. As in most other developed countries, American mothers are older than ever. The percentage of first-time mothers over 30 rose from 24 percent in 2000 to 30 percent in 2014. The uptick in age — combined with a rise in women's average weight — has meant that more pregnant women than ever suffer chronic ailments such as hypertension and diabetes. A study of New York City hospitals from 2008 to 2012 found that women with such pre-existing conditions are three times as likely as other new mothers to experience life-threatening impacts of childbirth. During her 2015 pregnancy, Cindel Pena, 29, checked two of the boxes that make childbirth especially risky. The 5-foot-4 project manager in Sacramento, Calif., weighed about 200 pounds during her pregnancy and had previously been diagnosed with hypertension, according to Pena and her husband, Steven Peery. 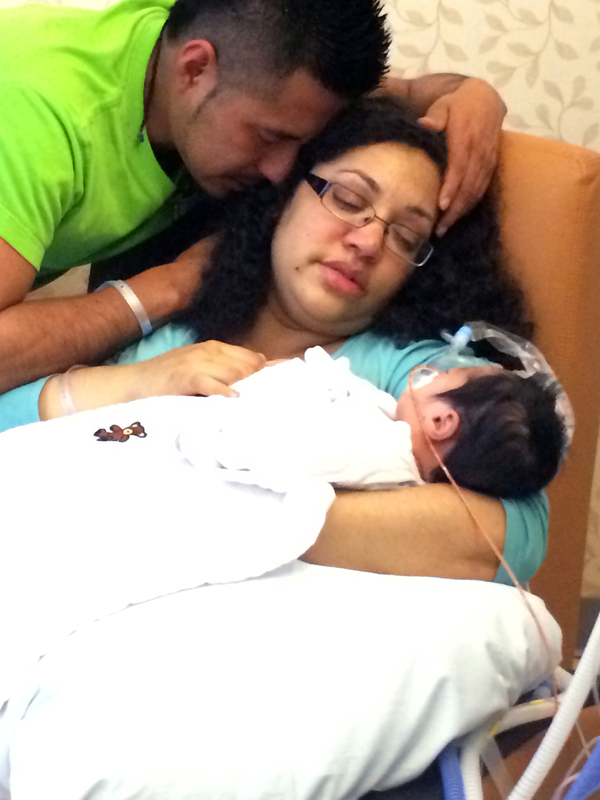 When her blood pressure spiked shortly before her due date, her OB-GYN ordered a C-section. The surgery went so well that Pena asked to check out of the hospital after just one day. "That was my first mistake," she said. Two days later, she knew something was seriously wrong. 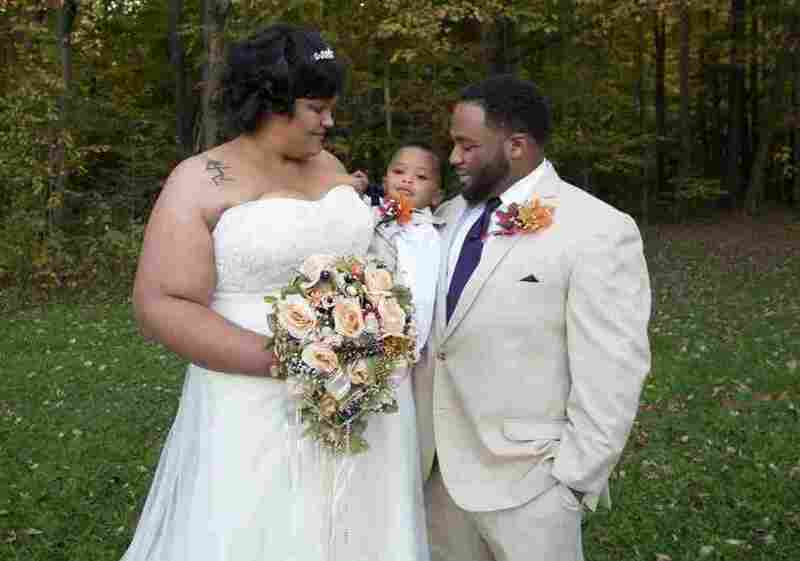 She couldn't stop crying, she said, adding, "My husband said I was walking through the house saying 'I'm going to die.' "
Cindel Pena poses for a portrait at her home in Rio Linda, Calif., on Thursday. She knew something was seriously wrong days after giving birth and going home from the hospital. Pena has since recovered and is now trying to decide whether to take the chance of having a second child. A spokeswoman for Sutter Medical Center declined to comment on Pena's case, citing privacy concerns. Pre-existing conditions such as asthma, hypertension, diabetes and substance use have increased disproportionately among women in rural and low-income communities, according to a study by researchers at the University of Michigan. Inadequate health insurance widens this gap. Medicaid, which pays for half of all U.S. births, only covers mothers up to two months past delivery. As a result, for low-income women, pre-existing conditions that imperiled one delivery may go unseen and untreated until the next pregnancy. Black women experience life-threatening pregnancy and childbirth complications at much higher rates than white or Hispanic women – in part because they have higher rates of chronic disease and prolonged stress. In Heather Lavender's case, a different pre-existing condition — the aftereffects of a prior surgery — may have been a factor in her life-threatening complication. "I feel like most of my life up until that point, I'm a pretty happy person, glass-half-full person," she said recently from New Mexico, where she now works as a nurse for the Indian Health Service. "I'm not sure what I am now, but it's been really hard." Not only do women today enter pregnancy in more compromised health than their mothers or grandmothers did, but the medical care they receive sometimes compounds the danger. When researchers have analyzed maternal deaths and near deaths to understand what went wrong, one thing they have noted time and again is the problem that some experts have dubbed "delay and denial" — the failure of doctors and nurses to recognize a woman's distress signals and other worrisome symptoms, both during childbirth and the often-risky period that follows. Heather Lavender had a history of troubled pregnancies: several miscarriages and the birth and death of a son at 18 weeks. Doctors may delay and deny because obstetric emergencies are unusual and often unexpected. "By and large, pregnant women are going to do OK, almost no matter what you do, until they don't," said Main, the maternal-health reformer in California. "The large majority will do fine. That makes people assume, even in the light of symptoms, that with some time, the bleeding will stop, it's going to be OK, I just have to wait it out a little longer." This points to a related problem: Many U.S. hospitals don't have treatment protocols in place to help doctors and nurses act quickly before complications turn life-threatening. Protocols to treat blood loss — including having supply carts stocked with blood and conducting regular training and drills — have been shown to reduce the severity of hemorrhages in California, Great Britain and elsewhere. Patient safety groups, most notably the Alliance for Innovation on Maternal Health, have drafted guidelines for the prevention and treatment of various complications, including hemorrhage, pre-eclampsia and blood clots. But the AIM program is still in its early stages. Some hospitals have been slow to adopt protocols, and some doctors have resisted what they see as intrusions on their discretion and professional judgment. Advocates say that without protocols, chaos can prevail. "Having been in those situations, I've seen where the team just flails around, and the attending is just yelling at everybody and throwing instruments and you're losing sponges and everything," said Michael Lu, a dean at George Washington University's school of public health, and former Health Resources and Service Administration associate administrator for maternal and child health. "Versus something that's completely orchestrated where everybody knows exactly what he or she is supposed to be doing." Faced with troubled pregnancies or births, while some caregivers do too little, others do too much. Maternal safety advocates describe a culture of intervention, from inducing labor with drugs to performing unnecessary C-sections, as another important contributor to severe complications. The best available estimates are that more than 1 in 5 pregnant women now have their labor induced, which usually means they're given medicine, such as Pitocin (a synthetic version of the natural hormone oxytocin), to stimulate uterine contractions. The rate of inductions more than doubled from 1990 to 2006, according to the American Congress of Obstetricians and Gynecologists. Doctors may induce labor when they fear for the health of the mother or the baby. Yet sometimes the procedure is not medically necessary, but rather performed for a doctor's or patient's convenience. More than a decade ago, early elective inductions (before 39 weeks) had become so common and proved so risky for newborns that many hospitals have since banned them unless medically indicated. Inductions often lead to more prolonged labors, which can overtax the uterus and raise the risk of hemorrhages, Main said. "The uterus is a muscle, and there's only so long it can contract," he said. The greater danger, according to Main and others, has been a sharp rise in the rate of C-sections, now the most common type of in-patient surgery in U.S. hospitals. In the 1960s, less than 5 percent of all U.S. births were by Cesarean section. But in 2016, nearly 1 in 3 women had the procedure. The U.S. rate is roughly twice that of Europe. C-sections, like any surgery, increase the likelihood of immediate complications, including hemorrhages, blood clots and infections. They also raise the risk of uterine rupture in subsequent pregnancies. As a result, once a woman has the surgery, many doctors and hospitals are reluctant to deliver her next child vaginally. Only recently has the downside of multiple C-sections been fully recognized. Having more than one C-section can lead to placenta accreta, the potentially life-threatening condition in which the placenta attaches abnormally to the uterine wall and sometimes grows through it. In the 1950s and '60s, when C-sections were uncommon, placenta accreta occurred once in 30,000 births. Now, said Terlizzi, the National Accreta Foundation co-founder, the incidence is 1 in 333 births. The complication is so dangerous that a typical treatment team includes doctors and nurses from eight to 10 specialties; the vast majority of cases lead to hysterectomies. Only about one-third of U.S. C-sections are medically justified, according to DeClercq, the Boston University maternal health expert. A web of factors explains the rest, including hospital culture (C-section rates vary widely from one institution to the next); efforts to make childbirth more convenient (C-sections can be scheduled); and indirect financial incentives. Because C-sections normally take much less time than vaginal deliveries, they are more cost-effective for hospitals and providers. Additionally, several studies point to the influence of "defensive medicine," a term for doctors' fears of being blamed by their patients for not having done everything possible to avoid medical problems. Eleven days after giving birth to her son in 2014, Samantha Blackwell felt a sudden, sharp pain in her lower abdomen and was diagnosed with a massive infection. She spent the next month in a coma. While in a coma, Blackwell had an emergency hysterectomy. These complications, many of them preventable, impose a financial burden on women, their families and the health care system. Kristen Terlizzi's care for her placenta accreta case in 2014 cost almost $1.2 million, which was covered by her private insurance. Samantha Blackwell's medical bills topped $400,000. The cost was borne largely by her mother's insurance, but she and her husband weren't completely spared. Blackwell was unable to work for six months and the couple is also fighting a $30,000 charge from the private helicopter company that flew Blackwell between hospitals. Several maternal health experts told ProPublica that no researcher or agency has yet calculated the total cost of severe maternal morbidity. Yet the available data suggests it amounts to billions of dollars every year. The cost alone of caring for mothers with pre-eclampsia exceeds $1 billion annually, according to a September 2017 report in the American Journal of Obstetrics & Gynecology. 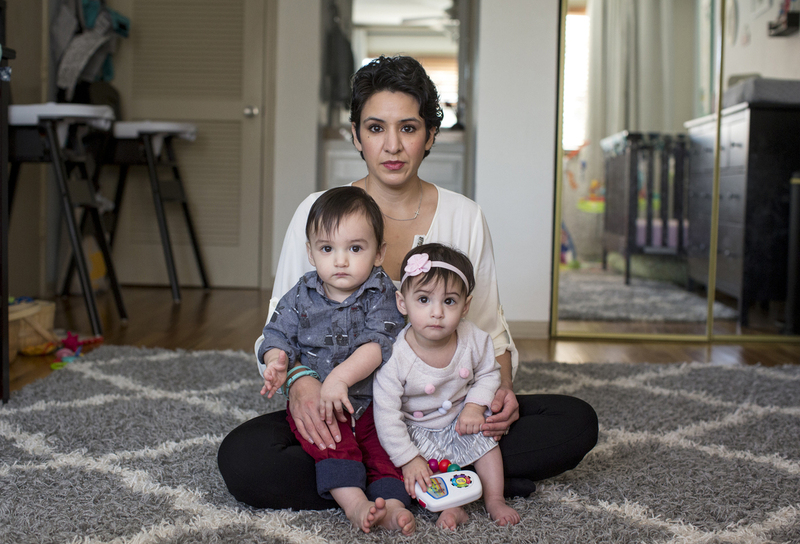 In 2011, Medi-Cal, California's Medicaid program, paid more than $210 million to treat maternal hemorrhage and hypertensive disorders, both among the leading conditions associated with childbirth complications. Whatever the exact price tag, the impact on women of life-threatening complications from childbirth "is financially, emotionally, medically, spiritually life-changing," said Miranda Klassen, a maternal health advocate who almost died in 2008 from an amniotic fluid embolism — the entry of amniotic fluid into the bloodstream, triggering heart and lung failure. "The pain and suffering is exponential. It's not just the moms, it's the spouses, it's the parents, it's the children, it's the larger family and community ... It completely turns your world upside down." NPR Special Correspondent Renee Montagne and ProPublica's Adriana Gallardo contributed to this story.